With over two and half decades of cross domain experience in IT and ITES across both services and products, Nirmallya Mukherjee has served as Chief Architect at Dell, Principal Architect at Infosys and Technical Architect at Ciber Inc, an HTC Global Services company. He lends his expertise to various multinationals like Cisco, Walmart Labs, Amadeus, Mercedes Benz, ANZ, Societe Generale etc. through his consulting, development and training engagements. 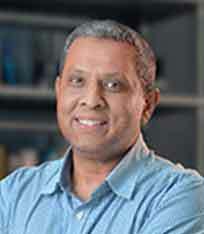 Nirmallya is also the Academic Director for the Graduate Certificate in Cloud Computing program.